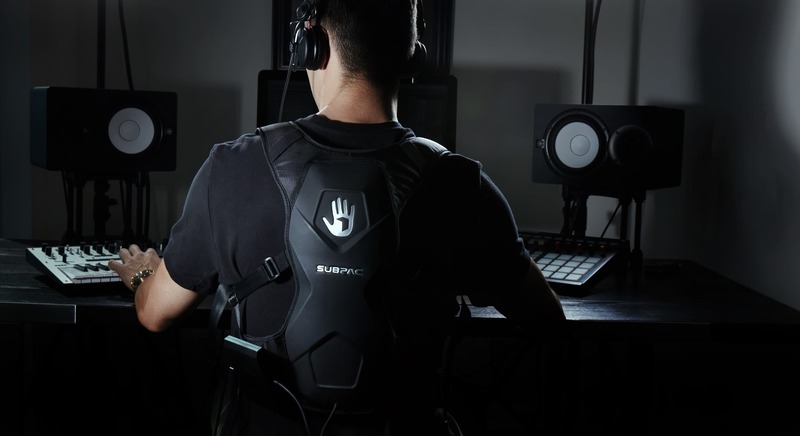 *SUBPAC IS NOW OFFERING A SPECIAL TWO-YEAR LIMITED WARRANTY TO ALL SUBPACS PURCHASED DIRECTLY FROM < WWW.SUBPAC.COM >. Building on the extremely successful SUBPAC M2 model, we are now unleashing our new M2X model with performance upgrades. The wearable M2X is perfect for listening to your favourite music, monitoring the low end in the DJ booth or on stage without hurting your ears, or for making your on-the-move listening experiences much more immersive. Upgrades (from the M2) include: Increased dynamic range which gives a more open, accurate and natural representation of your music especially for acoustic genres, lower total harmonic distortion which guarantees a better definition even at higher levels, and a huge 7+ hours of battery use time. Unrivaled accuracy and consistency across all environments – room acoustics and air are no longer the enemy of the perfect mix. Easily connects to any audio device via standard 3.5mm cable. Headphone audio pass-through for ease of use. Monitor at much lower levels, preventing hearing damage and loss. Portable – weighs 5 lbs and can be used in studio, onstage or in any outdoor location. 7+ hours of use via integrated rechargeable high capacity Li-ion battery. Optimized drivers and membranes for improved accuracy and energy efficiency. Bluetooth 4.0 input with A2DP streaming for non-critical listening.